Receive high-quality computer repair services, including software and data recovery services, from our company in Greenville, South Carolina. For more than 15 years, Info & More Computers has been helping you improve your computer with dependable upgrades, repairs, and software additions. Contact us at (866) 883-8469 to find out how we can help you get the most from your computer. Info & More Computers offers comprehensive computer repair services for both your laptop and your desktop computer. From fixing broken or defective LCD screens and main boards, to replacing damaged hardware, computer cases, or memory issues, there is nothing we can't do to enhance the way you use your computer. Stop by our shop today for complete diagnostic testing to find any errors that could be keeping you from getting the most out of your computer. Looking to upgrade your computer? Info & More Computers features used and new computers for sale from some of the most popular brands, including Dell®, Apple®, and HP®. Thanks to our great variety of price options, it is easy to find the perfect computer to fit your budget and needs. 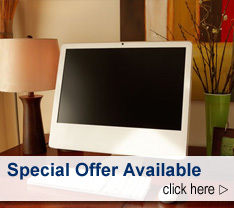 Contact us at (866) 883-8469 for more information about any of our computer repair services.